The Emmanuel AME church on Kent St., near the intersection of Kent and Chapel Hill St., is the oldest brick church building in Durham, constructed in 1888 on land donated by the Fitzgerald family. The church is now covered in stucco, obscuring most of the original brickwork, but some can still be seen on the tower. Most of the original stained-glass lancet windows and transoms remain. The building is now the Deliverence Temple Apostolic church. The former Emmanuel A. M. E. Church was a touchstone to the West End’s African-American community from its construction in 1888. Built with donated materials from Richard Burton Fitzgerald’s brickyard and on land that the wealthy brickmaker gave the congregation, the church was a spiritual and community center. Although the brick is obscured by a later covering of stucco, the building’s masonry walls are a solid thirty-inches thick and remained exposed for nearly eighty years. A five-hundred-pound bell hung in the square belfry tower and rang out until the 1960s, when its wood supports rotted and were not replaced. While age and wear have obscured some of the building’s historic features, the edifice still stands as a symbol of the drive and cohesiveness of the African American community in late-nineteenth and early twentieth-century Durham. The existence of the church is the direct result of the work of Richard Burton Fitzgerald. Richard was a brother of Robert Fitzgerald and a great-uncle of Pauli Murray. Richard Fitzgerald was also reportedly Durham’s first black millionaire. His financial and business success predates that of the younger but more well-known founders of the North Carolina Mutual Life Insurance Company. The African Methodist Episcopal Church is an African American institution, having resulted from a late-eighteenth-century secession of blacks from the Methodist Church in the United States. The A. M. E. Church’s formal establishment came in 1816; roughly fifty years later it had 200,000 members across the country. 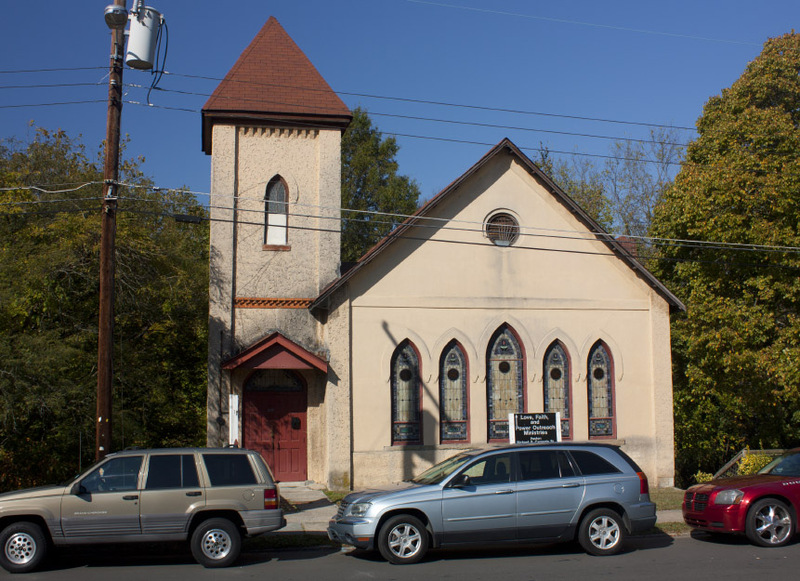 While the congregation on Kent Street in Durham chose “Emmanuel” for its name, folks in the community called it “Fitzgerald’s church” for many years. Fitzgerald and his wife Sarah were very active in the congregation; Fitzgerald himself served as a trustee. Other trustees included John O’Daniel, gardener and florist; D. Jackson Jordan, a teacher at the precursor school to North Carolina Central University; and Dr. George Adams, an early employee of the black-owned Mechanics and Farmers Bank in Durham. The bank encouraged black entrepreneurship and land- and home-ownership; Fitzgerald was one of the incorporators of the bank in 1907. 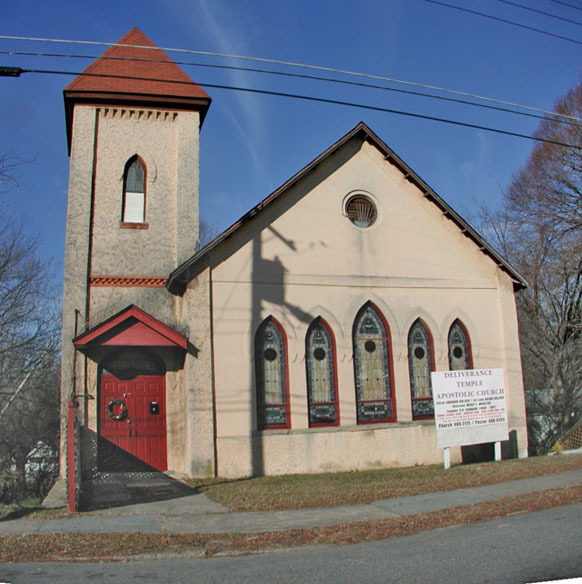 In addition to the cultural significance of the Emmanuel A. M. E Church, the building is the oldest surviving house of worship in Durham. Its Gothic Revival architecture is notable, despite the coating of stucco applied in 1962 to compensate for the softness of the brick. The pointed-arch windows are hallmarks of the style, as are the buttressed walls still evident under the stucco. The church was listed in the National Register of Historic Places in 1985 for its significance in the areas of architecture and black history and for its association with Richard Burton Fitzgerald.